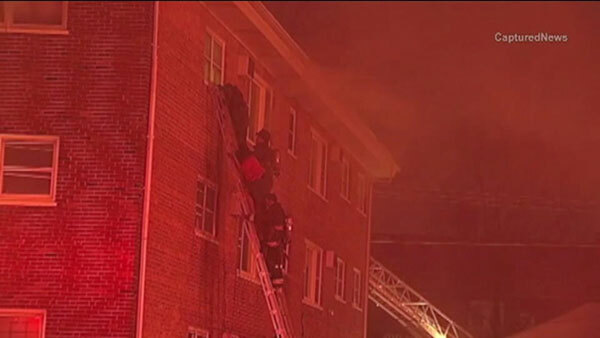 CHICAGO (WLS) -- Firefighters rescued nine people from an extra-alarm blaze at an apartment building in the city's South Side, officials said. Crews used ladders to rescue the people from the third floor of a building in the 9000-block of South Cottage Grove Avenue around 2:30 a.m. Sunday, officials said. Three people were treated fro smoke inhalation. Investigators have ruled out arson as a cause for the blaze.